Classroom Course with an American Heart Association Instructor. As part of the new education methodologies, the AHA has adopted an open-resource policy for exams administered online through an eLearning course and in a classroom-based course. Learn more about Open Resource Exams and the rationale behind them here. PALS Renewal is a credentialed course. Attentive Safety CPR and Safety Training's PALS Renewal course is for current PALS Providers who need to renew their PALS skills and PALS Provider course completion card. The PALS Renewal course is to improve the quality of care provided to seriously ill or injured children, resulting in improved outcomes. 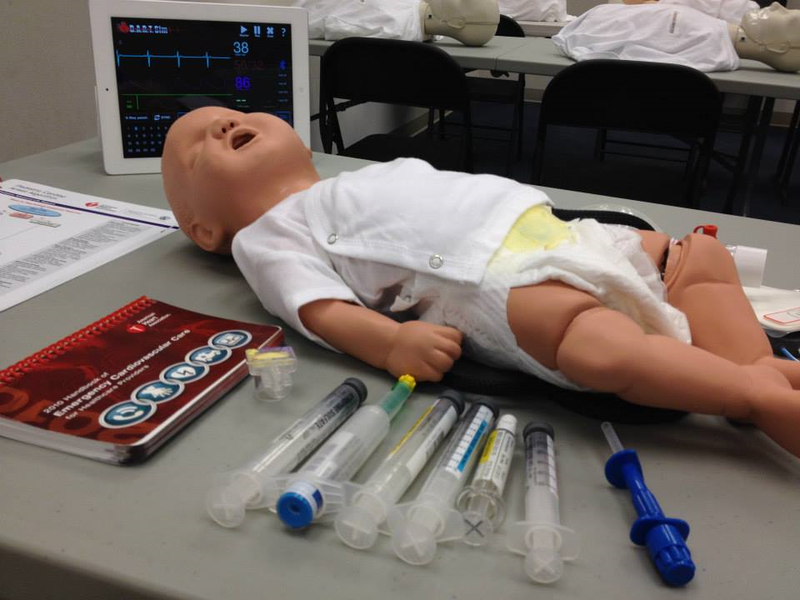 The PALS Renewal course uses a series of videos and simulated pediatric emergencies to reinforce the important concepts of a systematic approach to pediatric assessment, basic life support, PALS treatment algorithms, effective resuscitation, and team dynamics. Complete the Precourse Preparation Checklist that came with your PALS Provider Manual. Bring the checklist with you to the course. Review and understand the information in your PALS Provider Manual. Ensure that your BLS skills and knowledge are current for the resuscitation scenarios. You will be tested on adult high-quality BLS skills at the beginning of the PALS Course. You must know this in advance because you will not be taught how to do CPR or use an AED. Review, understand, and complete the Precourse Self-Assessment (mandatory) on the Student Website (www.heart.org/eccstudent). You will find the code to access the student website at the beginning of the PALS Provider Manual. You will not be taught how to read or interpret ECGs in the course, nor will you be taught details about pharmacology. Attentive Safety CPR and Safety Training's PALS Renewal course is designed for healthcare professionals who either direct or participate in the management of respiratory and/or cardiovascular emergencies and cardiopulmonary arrest in pediatric patients.